To protect the world from procrastination! To unite all party-goers within our nation! To denounce the evils of those without costumes! To extend our reach to the costume hall of fame above! This wig always there when money's tight! Take it now, or prepare for a bad night! Okay, okay, that's not the jingle we've had stuck in our head since that fateful first Saturday morning. 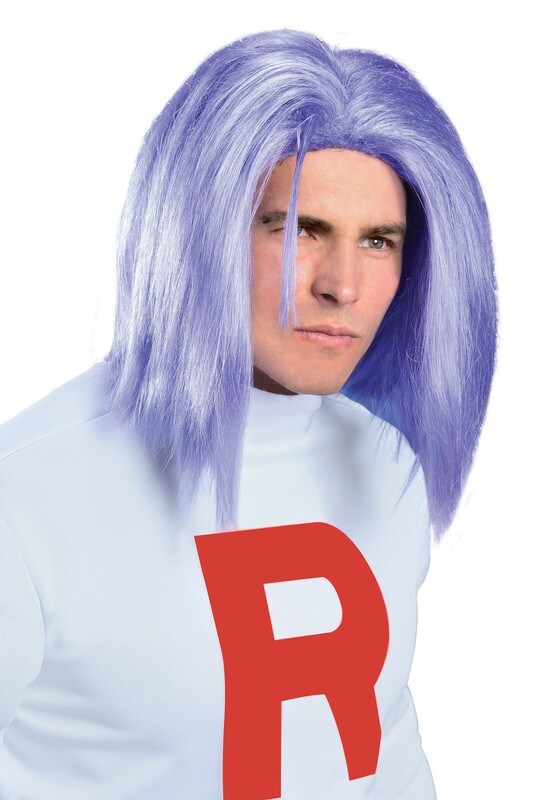 But we reimagined it for your benefit, in part because Team Rocket really irks us. What's their end-game is, anyway? They say they want to protect the world from devastation and that they also want to denounce the evils of truth and love. That apparently involves kidnapping Pokemon and perfectly styled hair in bright colors. We don't know anything about kidnapping Pokemon, but we do have this Adult James Team Rocket Wig. It's styled after the character from the show, so all you have to do is figure out how to capture Ash's Pikachu. Leave the hair to us.